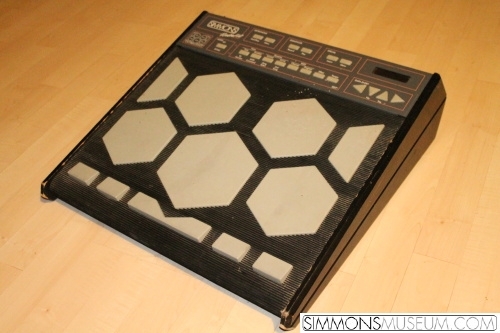 In 1988 the Portakit was Simmons' answer to Roland's Octapad. With 12 ergonomically arranged trigger zones, 7 additional inputs for external pads and one hihat controller it was probably the most advanced multi pad controller at that time. Many technical innovations came from the brand new SDX, for example the FSR trigger foils or the learn function.